The new app will help in revealing whether online information or news contain 'Glitches'. 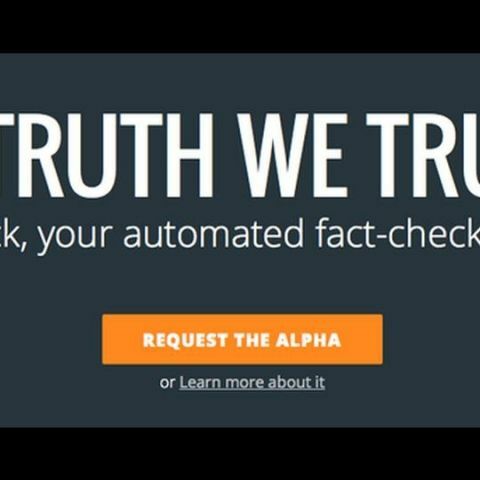 A team of developers from Paris have created a new automated fact-finding app called TrooClick, which can catch ‘glitches’ in online news and highlight the most reliable stories for you to read. Trooclick is a browser plugin that alerts users if an article they are reading contains ‘glitches’. A glitch could be an incorrect fact as well as information that conflicts with other media reports about the same topic. The report highlights any information about the publisher’s ethics that a reader should be aware of, according to ‘poynter.org’. It analyzes the text of a web page that you are reading and compares it with their database of facts to see if anything is related between the two. If the app finds a match, it checks whether the data collected is different from what you are reading. The app will alert you to the glitches, (if it finds any) in the data. The TrooClick app's technology combines text-analysis, semantic web and artificial intelligence to verify news from hundreds of websites in real time. “Trooclick’s mission is to reveal the glitches in online news and highlight the most reliable stories. We’re tackling news first but we’ll eventually move on to social media, audio and video content,” they said. Recently, a designer from Melbourne had developed an app called Tappd which helps users discover new, interesting apps from over millions of apps available on the Google Play Store, Windows and iOS store. Tappd asks you to select categories when you use it for the first time and then give recommendations based on your interest. Want to check-whether all my laptop inside components are new or changed by someone. Any news about Windows 9. When it will be coming ? When Windows 9 will launch ? Any official news about it ?